We really enjoyed this one - especially the styling and photographing stage of the project - and we loved coming up with an unusual and inventive take on how to use Annie's famous Chalk Paint. As Annie's Painters in Residence, we were tasked with doing something interesting and new with the paint, and we thought creating a transparent glaze of colour, that you could apply to ceramics, was certainly a new spin! 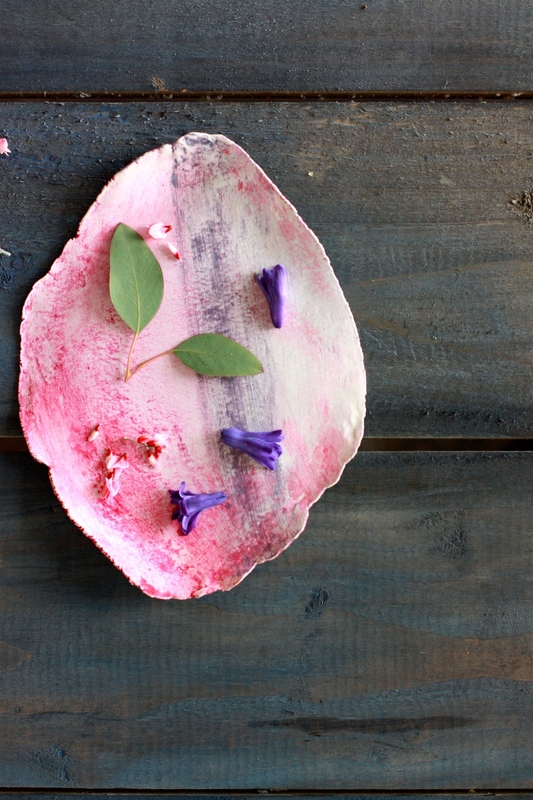 We created these lovely platters with air-drying Das clay, and rolled some of our Irish linen fabric in to them, while wet, to imprint them with texture. This gave us lovely texture to rub the wax glazes into, and I love how painterly and soft the colour washes came out... it was exactly as I had envisioned. 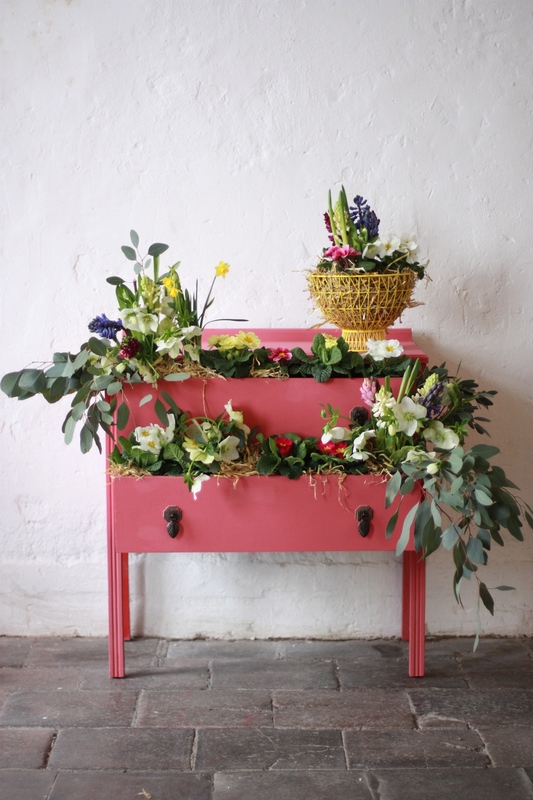 We knew we wanted Pink... we're always pleased if we achieve neon... and we wanted something unabashedly SPRINGTIME! 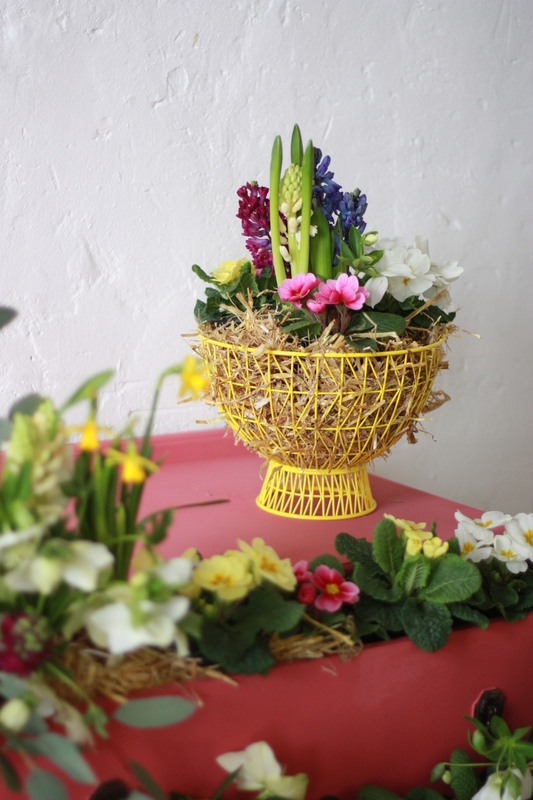 I then wanted to create a really exuberant Spring display with flowers so I styled it with gorgeous potted Spring Hyacinths, Primula, Narcissus and also added my favourite cut early spring flower, Hellbore, some eucalyptus and finally, straw for a little rustic edge (my chickens lost some bedding that week!). This was a really fun one to style, and I'm always in my element when tinkering with plants and flowers! 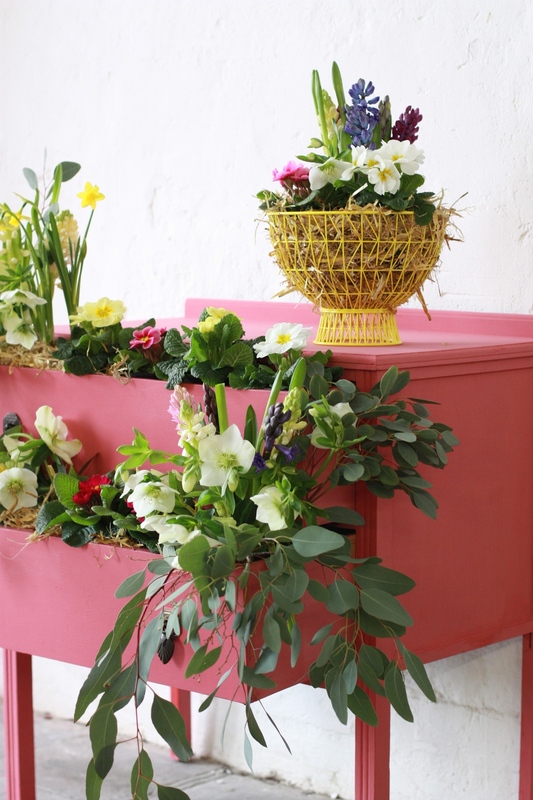 The fruit basket is a beautiful new season piece from Marks & Spencer, and I just love it. They're nailing their home range right now! The big bowl I have seems to be sold out online, but it's still in some stores... here is the range it's from. SO GOOD. As always, check out Annie's blog to keep on top of new Painters in Residence releases. Can't wait to share the next project with you.